-releaseDrive Release all allocations for the named drive. -releaseMedia Release all allocations for the named media ID. -listOrphanedPipes List orphaned Fibre transport pipes. -releaseOrphanedPipes Release orphaned fibre transport pipes. 01:01:47.985  <16> VxBSAEndTxn: ERR - bsa_close() failed. The following directories can be created for administrative command logging. • /usr/openv/netbackup/logs/admin - Log used as a central logging repository for all the commands located in the /usr/openv/netbackup/bin/admincmd directory. • /usr/openv/netbackup/logs/bp - Log for the curses-based bp interface program (client-side). • /usr/openv/netbackup/logs/bpadm - Log for the curses-based bpadm interface program (server-side). • /usr/openv/netbackup/logs/bparchive - High-level logging of the bparchive command. • /usr/openv/netbackup/logs/bpbackup - High-level logging of the bpbackup command. • /usr/openv/netbackup/logs/bpdbjobs - High-level logging of the backup and restore job reporter command. • /usr/openv/netbackup/logs/bplist - High-level logging of the detailed image list reporting command. • /usr/openv/netbackup/logs/bpmount - High-level logging for the drive-listing command, used for ALL_LOCAL_DRIVES on the client. • /usr/openv/netbackup/logs/bprestore - High-level logging of the restore command. • /usr/openv/netbackup/logs/bpbkar - Logs for the backup and archive daemon on the client (backup and archive operations). • /usr/openv/netbackup/logs/bpbrm - Logs for the backup and restore manager on the media server. • /usr/openv/netbackup/logs/bpbrmds - Logs for the backup and restore manager on the media server (for disk staging operations). • /usr/openv/netbackup/logs/bpcd - Logs for the communications daemon on media servers and clients. • /usr/openv/netbackup/logs/bpcoord - (For NetBackup 5.x) Logs for the bpcoord daemon started by bpsynth on the master server. • /usr/openv/netbackup/logs/bpdbm - Logs for the database manager daemon on the master server. • /usr/openv/netbackup/logs/bpdm - Logs for the disk manager daemon on the media server (disk storage units only). • /usr/openv/netbackup/logs/bpjava-msvc - Java GUI authentication service on the master server. • /usr/openv/netbackup/logs/bpjava-susvc - (For NetBackup 4.5 and 5.x) Java GUI login service on the master server. • /usr/openv/netbackup/logs/bpjava-usvc - Java GUI "user" service on the master server. • /usr/openv/netbackup/logs/bprd - Logs for the request daemon on the master server. • /usr/openv/netbackup/logs/bpsched - Logs for the scheduler daemon on the master server. • /usr/openv/netbackup/logs/bpsynth - (For NetBackup 5.x) Logs for the bpsynth process for synthetic backups on the master server. • /usr/openv/netbackup/logs/bptm - Logs for the tape manager daemon on the media server (media manager storage units only). • /usr/openv/netbackup/logs/mtfrd - (For NetBackup 5.x) Logs for phase 2 import of Backup Exec media on the master server. • /usr/openv/netbackup/logs/tar - Logs for the restore daemon on the client (restore operations). • /usr/openv/netbackup/logs/user_ops - Contains directories and files used by Java and database agents on servers and clients. • /usr/openv/netbackup/logs/bphdb - Logs for the program that starts scripts to backup the database on servers and clients. Interesting topic Highlight from the Symantec NetBackup Customer Forum in September 2010. This is a utility that analyzes the NetBackup domain and its configuration for network issues, performance, and behavior in regards to hostname lookup and connectivity between NetBackup hosts and their role within the NetBackup domain. NetBackup Domain Network Analyzer (NBDNA) from Peter Elliman on Vimeo. 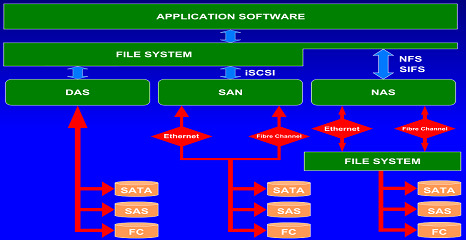 If none of the above mentioned tools are accessible you can try Fibre Channel Information Tool utility FCINFO.EXE available for download from Microsoft Download web site. It works on Microsoft Windows Server 2003 and Microsoft Windows 2000 systems and comes in a form of MSI package for x86, IA64 or x64 platforms. However, as stated in the Release Notes the Fibre Channel Information Tool does not have to be installed to work correctly. Three core files must be copied in a common folder if the Fibre Channel Information Tool is not installed using the MSI installer: FCINFO.EXE, HBAAPI.DLL, HBATAPI.DLL. Fibre Channel Information Tool utility is also included in the Microsoft Product Support Reporting Tool and other vendors' reporting tools, such as EMC Grab Utilities (EMCReports), Hewlett Packard Services Reporting Tool (HPS Reports), etc. If you ever run one of those tools on your server, you would have FCINFO.EXE installed. If you type FCINFO /? or FCINFO /?? you will get a long list of commands, many of which are very task specific and not necessary for information gathering.